Financial services social business opportunities can help financial services institutions (FSIs) change the rules of their businesses. Social business offers FSIs the chance to do what they have long promised and not delivered to most of their customers: to build and grow authentic relationships, and profits. Digital social venues enable savvy FSIs to source, engage and develop relationships faster and cheaper than ever before. The Chief Digital Office is packed with ideas and tools for using digital social business to transform brands, businesses and enterprises. FSIs need to transform because they are largely commoditized—in both consumer and business segments. Increasing portions of clients in mature markets (G7) interact with FSIs via Web or mobile, knowledge workers are increasingly mobile and no longer visit retail locations or have the patience to interact via telephone. FSIs’ gold mine may prove to be the financial transactions their clients execute: in the big data age, financial transactions are extremely valuable social actions that indicate high interest and therefore insight into client motivations and results. “Financial services” is a broad category, but here I am referring to social business in commercial banking, investment banking, financial exchanges, wealth management, insurance, financiers and hightech incubators, all of which have their own tags (Bank, Investment-bank, Insurance, Exchanges, Private equity, Investment & Wealth, Venture capital, Incubator). Commercial banks’ retail operations are commoditized, have razor-thin margins and many have been sullied by real estate lending debacles. They face sharply increased capital requirements that threaten to erode profitability still further. Commercial banks’ corporate and mid-market divisions are commoditized; their business is very relationship-oriented, but banks’ performance in business development and service has long stagnated. Investment banking divisions are volatile on a good year, but have given to scandal and massive losses since 2007; many have reputation problems and face strict legislation by angry voters and legislators. “Banker” is becoming a dirty word in too many conversations. Financial exchanges are also painted by scandal (NASDAQ’s bungling of the Facebook IPO only the latest example) and global consolidation. At a higher level, “money” itself, and therefore “financial” services’ raison d’être may well be headed for disruption. I predict that, within the next 20 years, “financial services” firms that thrive will redefine themselves by distancing themselves from the nuts and bolts of money to the social actions it comprises. Financial transactions are social actions, and financial services firms are replete with social data. To add value, they will have to imagine ways to add value with their social data without triggering privacy concerns. Here are some initiatives leaders will begin this year. B2B client community—business bankers/insurers/etc. operate in the same ilk as professional services “trusted advisors,” but they operate in the dark ages. Each relationship manager orchestrates services but also provides business advice as well as introductions to employment candidates, partners, professional services, etc. Business banks can add more value by unleashing the “many to many” effect by creating trusted online communities in which clients can help each other, too. Bank branch client coworking space—branches are headed for disruption; they are expensive street presences with high employment costs, and most are oriented to core bank transactions. The most adventurous banks are piloting various branch concepts, but the most obvious is social network-enabled work and collaboration spaces high-value mobile business and consumer clients and prospects. Financial services blog ecosystem—this blog distinguishes itself by focusing on interaction among readers and between readers and firm thought leaders, who do not promote the brand, products or services, thereby increasing trust and revenue. It works by identifying client hot-button issues before launch and creating a unique destination for learning, thus proving relevance to commercial, small business or consumer clients. Online financial management community—Mint, Wasabe and many other startups have recognized customers’ needs for financial management advice. They address this by enabling their members to discuss their goals and results; in addition, members may upload their financial transaction data to the site in order to create data to empower themselves and community. Banks already have the data and the relationships to do this much better. Their challenge is a trust gap and to put customers first, before products, services and profits. Those who do can earn unprecedented loyalty and profit. Social enterprise—the banks that recognize that client financial transactions are social actions can put themselves on a new S-curve of value creation, but they must tread very carefully when using financial data to add value. By analyzing client transactions and inferring outcomes, banks can add an order of magnitude more value, by packaging and delivering their insights back to clients. We mean far more granular analysis than the usual “life-changing events” the govern most bank insights. This leverages growth trends in mobile banking as well. Property insurance disaster recovery sites—natural disasters cause fear and loss, but their impact can be significantly mitigated when people can organize and collaborate quickly, when normal infrastructure and resources may be interrupted or unavailable. P&C firms have the opportunity to provide these resources, which can help to mitigate financial losses and emotional duress—while building strong client relationships and community goodwill. In many cases, they can reduce cost to serve as well, when clients can help each other more easily. Wealth management collaboration—wealth management is too often focused on trading and managing money rather than the outcome that clients want. The time is right for WM firms to begin unlocking the gold in client data, noticing patterns and addressing outcomes. By encouraging online collaboration among clients, WM firms can quickly build a much deeper understanding of client outcomes—in mature and emerging markets. A significant portion of HNW individuals need help in managing their finances as well as managing liquid wealth, WM firms’ traditional domain. In-depth CSRA analyses and reports on financial services transformation. Hidden potential of social business in regulated businesses. 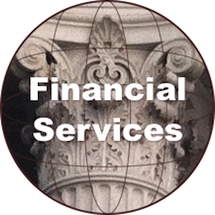 Here is a list of all our Financial Services-focused posts and articles. Here are our social business posts that mention financial services. Celent Banking Blog » How Many Bank Branches do we Need in the US? CSRA helps financial services firms to use social business by: understanding clients, markets and partners in new ways using social data; interacting with client and partners using social technologies; by transforming organization to maximize collaborative innovation. To learn more, contact me. I am very interested in the challenge of financial services. loss of customer confidence is usually much going on because it is caused by a scandal between the regulators of financial services management to the owners of financial services. Unfortunately, the nature of government regulations protect the sustainability of the financial services business, followed up with embezzlement of customer funds simultaneously and groups. In many developing countries it has become a commonplace and often occurs. Hence the need for an openness and transparency of the management of the company in order to regain public confidence to invest its own funds primarily on financial institutions survived. thanks for the comment. Hi Gabrielle, thanks for commenting and bringing up the issue of organizational corruption. I think the best way to combat organizational corruption is two-pronged: rigorous due diligence on one’s providers and knowing your professional services providers; in fact, my crustal ball says that business worldwide is boomeranging and becoming more personal. Trust in people is easier to develop than with organizations, even through nothing is fool-proof. For most of human history, business was personal and community-based, and I predict that the de-personalization that occurred during the Industrial Economy will prove to have been temporary (see “Transformation’s Personal Issue”). This is facilitated by digital social technology, which essentially makes every person’s reputation public—and available. What do you think?